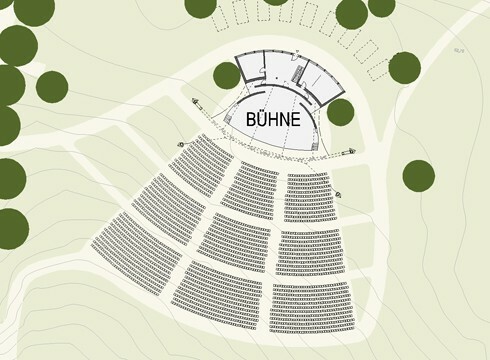 In the course of a multiple assignment by the company Grün Berlin GmbH, different designs were developed for a new open-air stage in the "Gardens of the World " located in the Berlin township Marzahn-Hellersdorf. 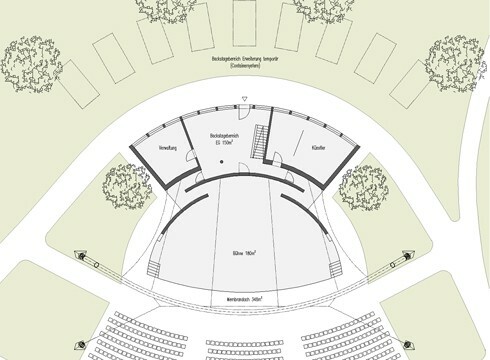 The stage is designated as a permanent construction in the expansion of the park. 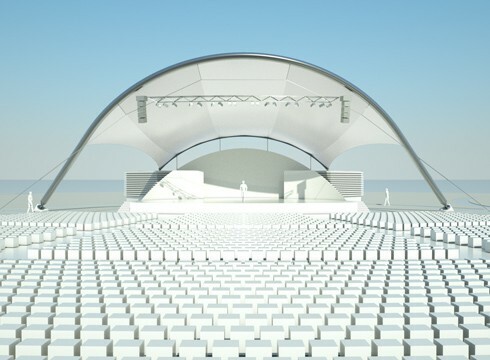 Our design integrates all components of the open-air stage, creating an expressive solitaire in the landscape which can be experienced as a spatial sculpture. 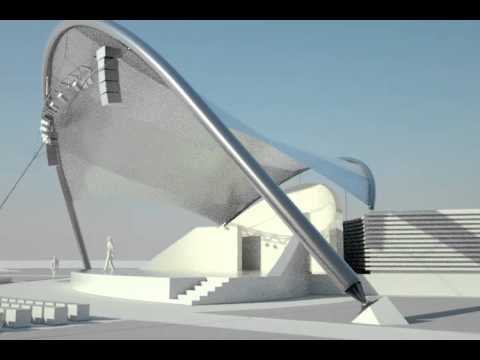 The curved design runs through all elements of the structure. 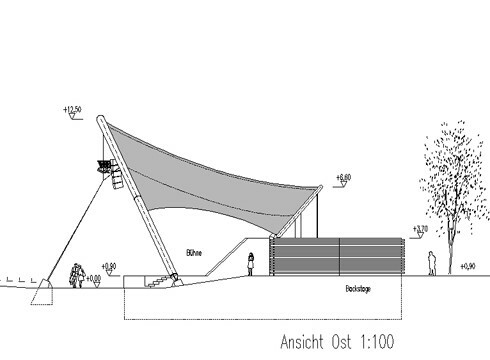 Above the scene, a dynamic membrane roofing spans between two inclined arch constructions. 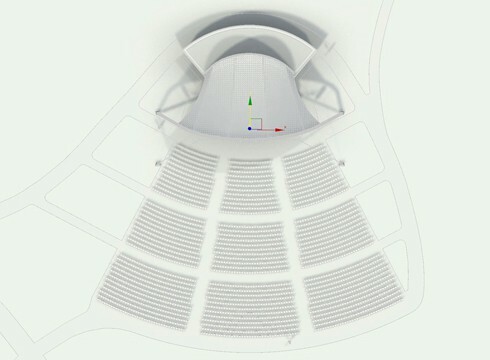 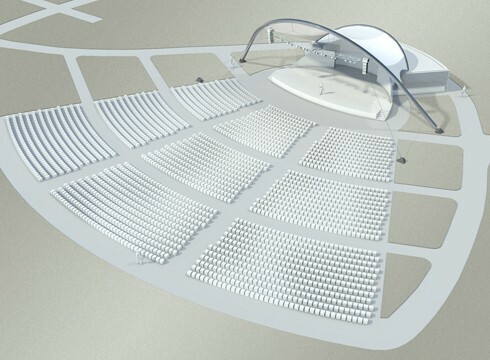 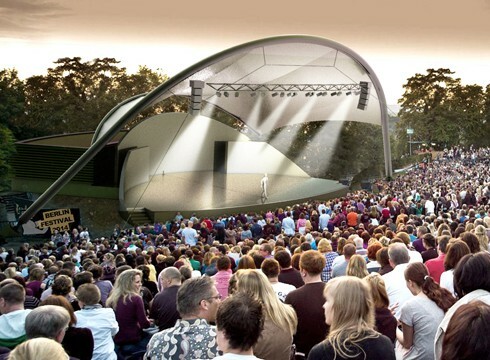 The stage roof appears detached and floating, providing view into the greenery of the park. 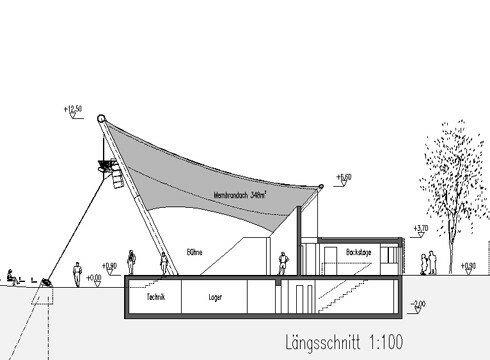 The design of the lightweight tensile roofing is based on a rational and economical bearing structure. 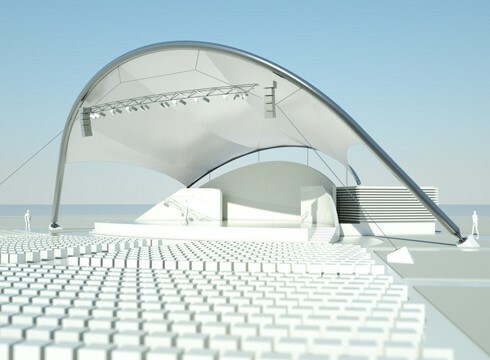 The prestressed textile membrane adopts a saddle-shaped anticlastic curvature and withstands wind and snow loads. 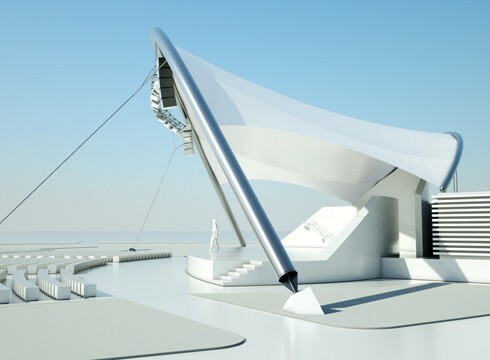 In the textile membrane ridge cables are routed, creating a slight polygonization of the surface`s shape and providing a fail safe for the structure. 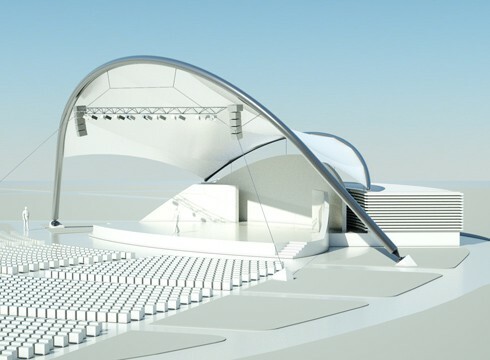 The proposed fabric is made of glass fibers coated with PTFE. 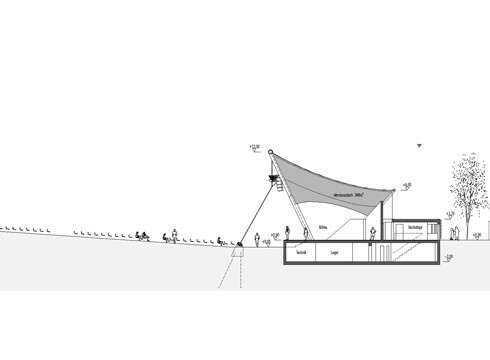 This material is highly translucent and of high life expectancy.